Danny Murphy has come in for heavy criticism for his commentary during England’s 6-1 World Cup victory over Panama. 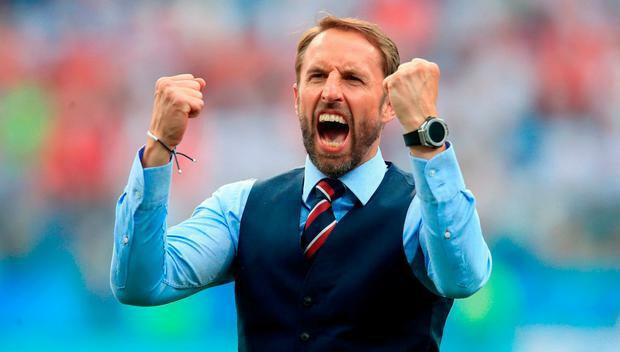 The former England midfielder is part of the BBC’s commentary team in Russia this summer and was selected as summariser for the Three Lions’ second Group G game in Nizhny Novgorod alongside Guy Mowbray. However, he was panned on social media for being openly biased, as well as his monotone delivery. Viewers pointed out Murphy regularly referred to England as “we” during the team’s record rout over the Central American side. One Twitter user called his co-commentary “absolute garbage”, with another urging the BBC to “get rid” of the 41-year-old former Liverpool midfielder. “Dear BBC Sport. Can you asked Danny Murphy to stop referring to England as ‘we’ seeing as you’re a UK based channel and he should be an unbiased commentator,” another Twitter user wrote. Others described Murphy as “shockingly biased” and “embarrassing”. Some viewers also rounded on Murphy for his perceived ignorance of certain aspects of world football. Viewers also mocked Murphy earlier in the tournament for his commentary during Spain and Portugal's thrilling 3-3 draw. "He can’t go over the wall," declared Murphy, moments before Cristiano Ronaldo fired a free-kick over the wall to to equalise in the 88th minute. "That’s why Danny Murphy is Danny Murphy and Ronaldo is Ronaldo," quipped one Twitter user. During the England-Panama game, some also voiced displeasure at the 41-year-old’s apparent lack of enthusiasm as the Three Lions recorded their biggest win in World Cup history. “Can Danny Murphy please try and sound interested or get a job he likes,” said one viewer. Gareth Southgate’s team were 5-0 up by half-time as they sealed a place in the tournament’s second round by thumping Panama. Spurs striker Harry Kane scored a hat-trick, including two penalties, with a brace from John Stones and a fine finish from Jesse Lingard completing the rout. Panama’s Felipe Baloy scored a late consolation with his country’s first ever goal at a World Cup.